ProLogic Lo2 Safe Lock The ProLogic L02 is a reliable safe lock system designed for use in commercial settings. User friendly features include time delay usage prompts, simple set up and a backlit OLED menu for easy programming. Physical Security are classified under 10 levels, based on performance tests that simulate attack. The security rating is based on the lowest test result achieved. Corrosion Resistance are classified under 5 levels, based on standard accelerated corrosion tests. Your customers can rest easy knowing their ABUS 83/45 and 83/50 padlocks now meet the relevant Australian Standard required by many commercial insurers. Just another reason why ABUS is the locksmiths’ padlock of choice. GERMANY Spe go in the nd $1,000 on ABUS draw to win pro 2 tickets ducts & to german y! We are proud to release the latest profiles in the SECURE6 range; S6B and S6M profile keys and S6B profile barrels. MADE IN AUSTRALIA Designed and built in Australia under close consultation with leading locksmiths. LEGAL PROTECTION Protected against illegal duplication with design protection until 2029 in Australia and New Zealand. ECONOMICAL Improved protection at an affordable cost. SECURE6 key systems accommodate many of todayâ&#x20AC;&#x2122;s demanding key system requirements whilst still remaining very economical. ANTI-MANIPULATION Strong defence against picking, drilling and other forms of unauthorised entry. COMPATIBLE Fully compatible with the commercial lock market in Australia without any need for modification. In most cases SECURE6 will be compatible with already installed cylinders. INNOVATIVE SECURE6 is designed with future security technologies in mind. The ABUS Combi Cap can be fitted to allow easy integration of your mechanical and electronic security systems. point, in the event of all keys lost, the only solution available was to replace the immobiliser ECU on the vehicle, a time consuming and costly approach. The new solution from scorpio incorported into the Tango device involves the following procedure: 1. 2. 3. *No parts removal and no editing of vehicle data. Supported vehicles utilise first generation ‘H’ immo systems, built date 2013-2014 approx. Second generation are not supported. Please refer to the LSC website, the utility Help File or CarLab for further details. Smart Pro - New Ford Software Advanced Diagnostics have released new Ford software for the Smart Pro. Features of the software include: •	Bypasses active alarm on specified vehicles. 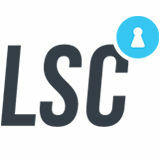 •	Refer to release notes and Application List on LSC website or ADIQ. inclusive of 2014+ that have had security upgrade. Add key function. Toyota vehicles. H key images can also be generated for Toyota and Subaru, where diagnostic programming is required. 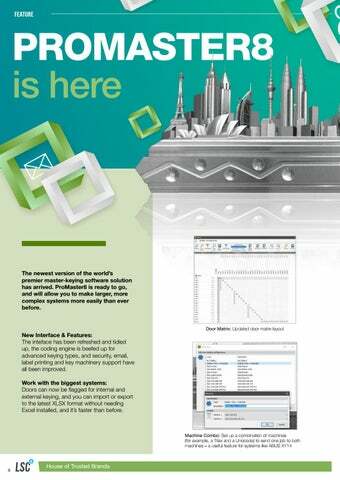 The newest version of the world’s premier master-keying software solution has arrived. 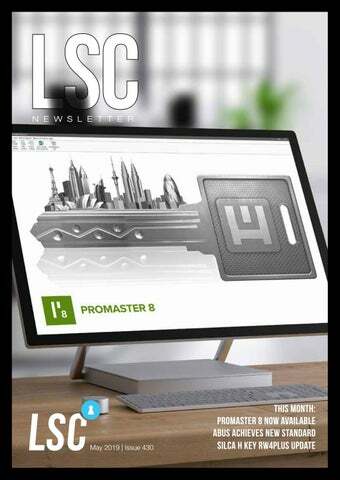 ProMaster8 is ready to go, and will allow you to make larger, more complex systems more easily than ever before. 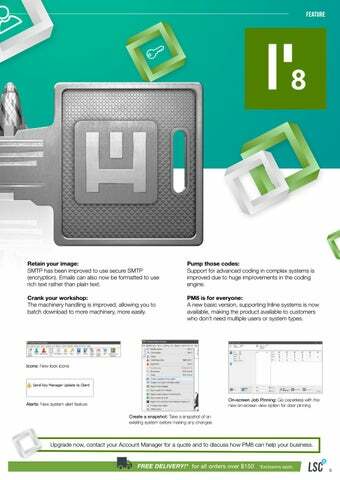 New Interface & Features: The inteface has been refreshed and tidied up, the coding engine is beefed up for advanced keying types, and security, email, label printing and key machinery support have all been improved. Work with the biggest systems: Doors can now be flagged for internal and external keying, and you can import or export to the latest XLSX format without needing Excel installed, and it’s faster than before. Retain your image: SMTP has been improved to use secure SMTP (encryption). Emails can also now be formatted to use rich text rather than plain text. Pump those codes: Support for advanced coding in complex systems is improved due to huge improvements in the coding engine. Crank your workshop: The machinery handling is improved, allowing you to batch download to more machinery, more easily. PM8 is for everyone: A new basic version, supporting Inline systems is now available, making the product available to customers who donâ&#x20AC;&#x2122;t need multiple users or system types. Upgrade now, contact your Account Manager for a quote and to discuss how PM8 can help your business. Made by Silca in Italy, 2 Year Factory Warranty Talk to your Account Manager now about Futura Auto. LAST CHANCE! LA ST CHANCE! LAST CHANCE! *Visit https://www.lsc.com.au/page/Terms__Conditions/AMC_Vespa/ for more info. SALTO KS is a cloud-based access control solution that fits your needs no matter the size of your business. Enjoy flexibility, scalability, reliability, and the ability to manage access from anywhere, anytime. Have full control of all functions & features from the web app. And on-the-go, use the mobile app for keeping track of events, remote unlocking and blocking of tags. Manage acceses, from anywher anytime! Silca Machine week Drop in to your local branch during Silca Machine Week to see the latest in key cutting technology. Get hands on with the Futura Pro, Futura Edge, Futura Auto, Triax Pro, Unocode Pro and Bravo Professional. Instant asset write-off for purchases has increased to $30,000! Small to medium size businesses (annual turnover less than $50 million) can now claim an immediate 100% deduction on every asset they purchase valued up to $30,000 (previously $25,000 Jan 2019). The $30,000 limit will end on the 30 June 2020. The $30,000 threshold applies to each individual asset and small businesses will be able to apply the $30,000 rule to unlimited individual assets. To access the instant write-off this financial year, the assets must be acquired and installed ready for use in your business before the EOFY. With EOFY fast approaching, now is an attractive time as ever to invest in your business through a capital purchase. TERMS & CONDITIONS Product features and pricing in this newsletter are subject to change without notice. Special promotional prices advertised here are for the month the newsletter has been published. However, some offers may commence on or extend beyond the promotional period. Most products have been photographed in-house and are identical to what you will receive. Information presented in this newsletter has been checked and is believed to be correct at the time of printing, however, errors and omissions may occur. LSC can not guarantee prices, specifications, or features of products that may change after printing.